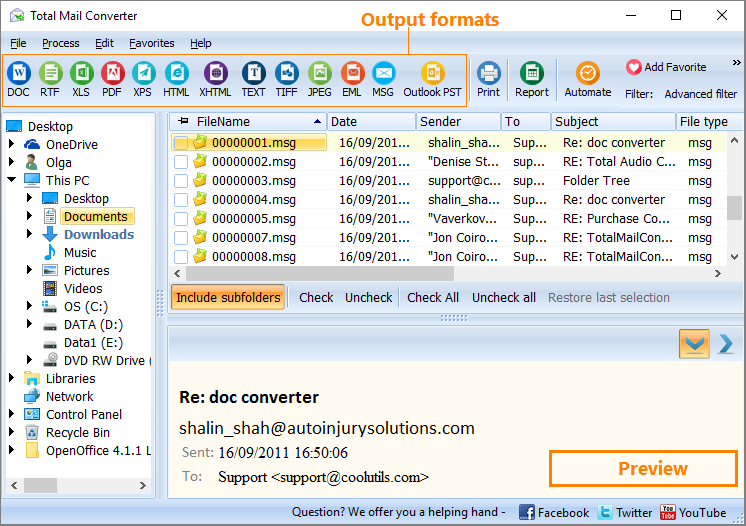 What you can expect when you convert emails to PDF with Total Mail Converter? Review the sample output to get a better idea of how flexible our app can be. Add your logo, QR code or any image to the header or the footer of the file. 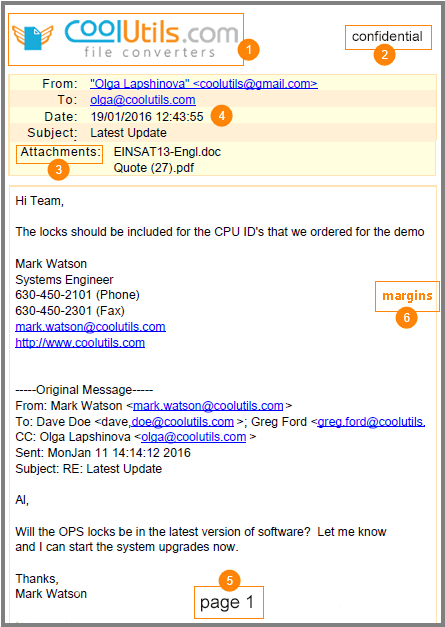 Add any text watermarks, date, legal notes or stamp bates (sequential numbering of files in multiple folders is available). Add attachments into the output PDF as a clickable link or embed them to PDF them right after the email body. You can also save them in a new folder. 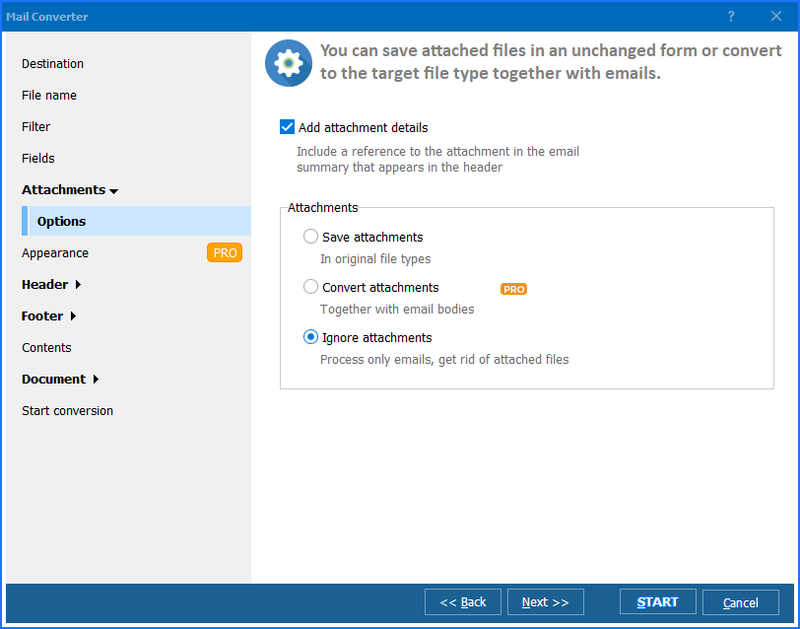 The PRO version will convert attachments to PDF as well as emails. Switch the date to UTC if you receive emails in different time zones. Insert a page counter to the footer of the file. Specify the number of digits. Set the margins to your needs. How about the security of your docs? 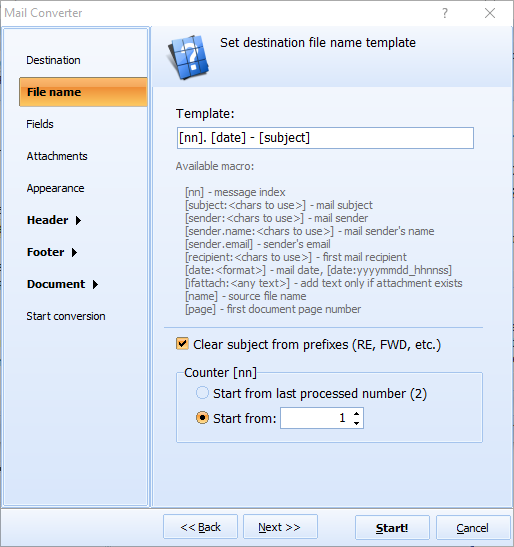 With Total Mail Converter you can set user permissions. For example, allow printing and forbid editing the document. Password-protect your files to make sure unauthorized users don't get access to them. 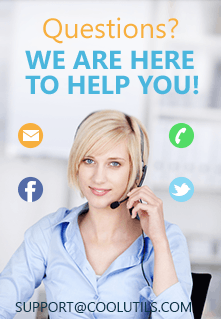 We are confident that you will not find a similar range of mail conversion functionality anywhere else on the market at anything even close to the affordable price of Total Mail Converter.